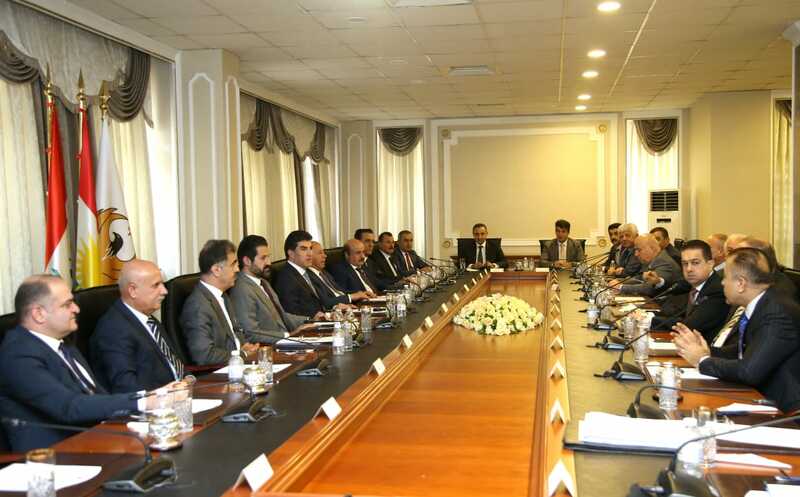 Prime Minister Nechirvan Barzani chaired a meeting of the KRG Oil and Gas Council to discuss the issue of the illegal refineries in the Kurdistan Region. In attendance were the Deputy Prime Minister Qubad Talabani, KRG ministers and governors, supervisors of local administrations, as well as representatives of the Kurdistan Region’s Integrity Commission, Board of Supreme Audit, the Attorney General’s Office, and the Assayish, Kurdistan’s security forces. The Ministry of Natural Resources presented attendees with a report on the number of illegal refineries and their locations. The report illustrated instances in both the Erbil and Slemani Governorates where refinery residue had damaged water resources, agricultural production, as well as adversely affected public health. Prime Minister Barzani and Deputy Prime Minister Talabani stressed the need for KRG’s Ministries of Natural Resources and Interior, Kurdistan’s governors, the Security Council, the Attorney General’s Office and the police to work together to address these concerns within the framework of the legal mechanism that was laid out during the meeting. It was agreed legal proceedings would be taken against the refineries which would later be presented to the public, and necessary procedures would be taken to protect the health of the Kurdistani community and the environment.